If you’ve been watching CBS in recent years, you’ll have noticed that many of the network’s top programs are reboots of shows from the 1970s and 1980s: MacGyver, S.W.A.T., Hawaii Five-O. Now you can add a new one to the list: Magnum PI. I’ll admit: I was a skeptic. The 1980s coincided with my high school and college years. I didn’t watch much television during that decade. But I did make time for Magnum PI. The original Magnum, starring Tom Selleck, is one of my favorite television programs from my youth. I was sure that CBS would make a mess of the remake. I was wrong. 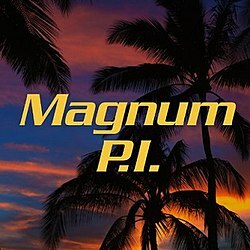 The new Magnum PI is just as fun and entertaining as the original. But another part of me knows that would have been ridiculous. Tom Selleck is very fit for his age, but he’s now in his seventies. The starring role in Magnum PI is one for an actor in early middle age: 35 to 45. CBS has cast Jay Hernandez as Thomas Sullivan Magnum. And while Hernandez brings his own style and interpretation to the role, he pulls it off with as much flair as Selleck did before him. The new show more or less ports the characters and the basic premise over from the original: with some necessary changes. In the original show, Magnum and his sidekicks (TC and Rick), were Vietnam War vets. In the 2018 reboot, they’re veterans of the wars in the Middle East. There is one fairly major character change: In the 1980s version, Higgins, the majordomo of the Hawaiian estate where Magnum lives (off the largess of the never seen Robin Masters) was played by British actor John Hillerman. In the reboot, Higgins is still British, but Higgins is a woman (Perdita Weeks). Conservatives like me are supposed to hate it when rebooted shows arbitrarily change the genders of characters. I don’t necessarily hate this practice in a knee-jerk sort of way, but I’m always skeptical of it, often with good reason. (The reimagining of Boomer and Starbuck as female characters in the rebooted Battlestar Galactica produced uneven results.) But in the case of Magnum PI, the distaff version of Higgins works perfectly. I think–sorry, Mr. Hillerman–that I even like the Perdita Weeks interpretation of Higgins better. The show includes lots of fun details that were crucial to the 1980s Magnum, like the dogs Zeus and Apollo, and Magnum’s habit of thinking aloud to the audience. TC and Rick (Stephen Hill and Zachary Knighton) don’t get much character development. But then, they were little more than affable sidekicks in the original version. The Magnum PI reboot is as good as any purist could have asked for, 38 years after the start of the original series (and 30 years after it went off the air).